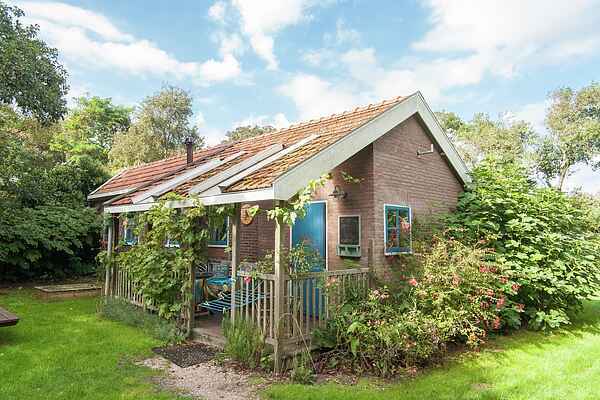 This holiday house is located in Callantsoog, region of Noord Holland. It is a simple yet cosy and comfortable accommodation. The residence has a lovely (shared) garden with an orchard of 3500 m2. The holiday house, together with the farmhouse (NL-1759-04) make up de Wolken, an area of approx. 2.5 hectares. The surroundings are suitable for a number of activities; sunbathing on the beach, walking in the dunes (approx. 900 metres away) or a visit to the cheese market in Alkmaar. Theres something for everyone! An ideal base for all of your walks, cycling excursions and day trips year round, in any season. Or you can just enjoy in de wolken.